A medieval tankard is a form of drinkware consisting of a large, roughly cylindrical shape that tapers small toward the top with a single handle. Many of our medieval tankards are made of steel, pewter or silver. We have tankards that are minimal and unadorned, but we also have others that are embossed or engraved with symbols or designs of different cultures. We carry gothic tankards, pewter tankards, Celtic tankards, and Viking tankards that are great to take to the Renaissance fair or your next reenactment event. 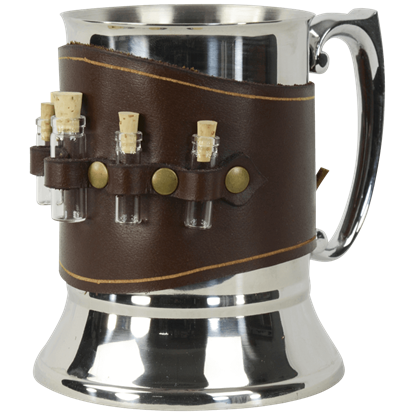 We carry tankard straps so that you can hang your medieval tankard from your belt when not in use. 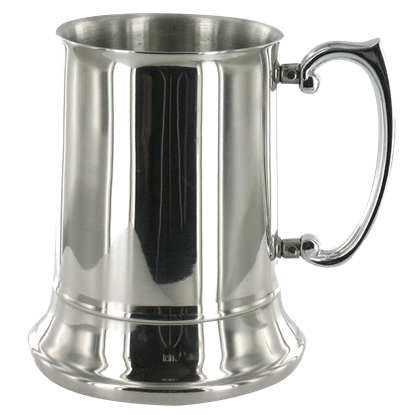 These pewter tankards are functional and very affordable. Other uses for our medieval tankards include weddings, parties, medieval fairs and everyday use. We are sure that you will find the right medieval tankard here. What potions will you keep close at hand when drinking at the tavern? 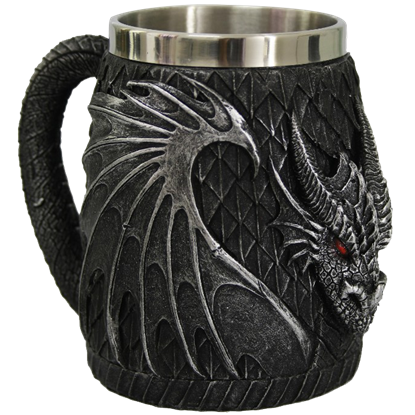 When you drink from the Alchemist Tankard with Leather Wrap, you may carry a poison detector tonic, a powerful mana potion, or perhaps a taste of your favorite rum. The strike of an axe or the defense of a shield can win the battle. 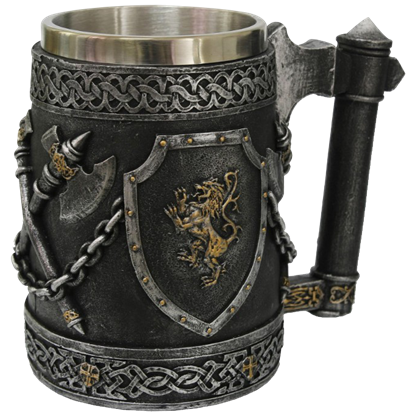 The Axe and Shield Tankard celebrates these medieval weapons with its detailed accents. This cast resin medieval tankard is hand painted to look like ancient metal. For one unafraid to venture through the cemetery at night, only a special piece of drinkware will do. 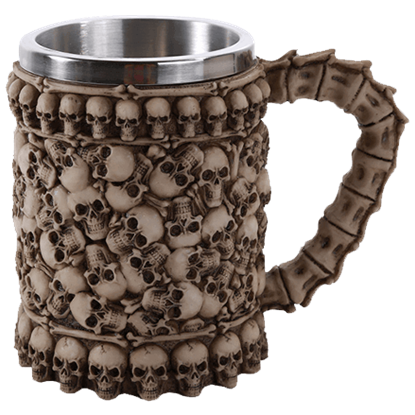 Whether to start your day with coffee, or top it off with ale, the Boneyard Skull Tankard is a fine companion for the daring. Join your fellow brethren for some ale, or perhaps for an energizing splash of coffee, whichever floats your boat. 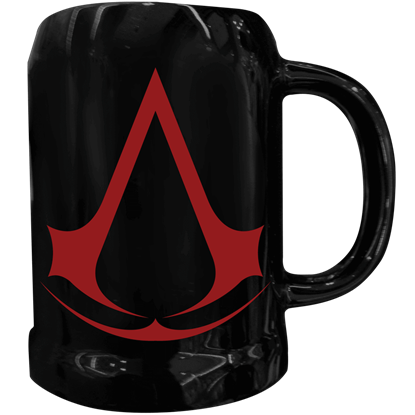 Enjoy the fellowship of your pirate mates and celebrate your exploits with the Brethren of the Coast Mug. Grab a stool and lend an ear, for a pirate has stories to tell. 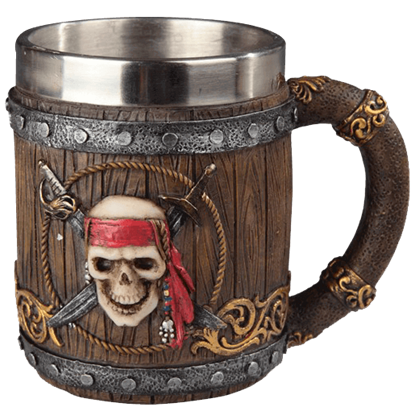 Our Buccaneers Skull Tankard is made of cold cast resin with a metal insert for functional use. 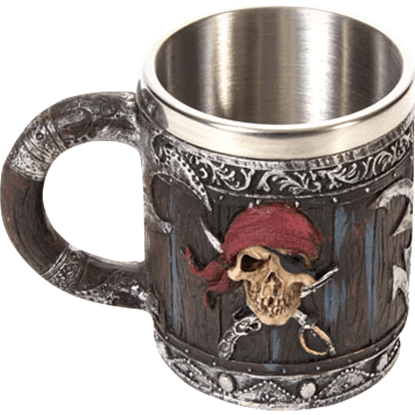 Enjoy the feeling of being a sea pirate with this unique drinking mug. Early Celts viewed trees as sacred, providing food, shelter, and fuel for cooking and warmth. The Celtic tree of life represents harmony and rebirth. 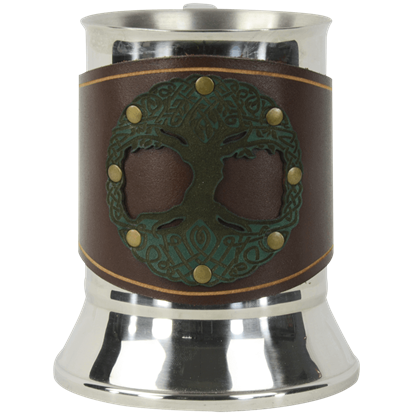 This Celtic Tree of Life Tankard with Leather Wrap displays this symbol of balance. The Classic Medieval Tankard is a drinking vessel for those who want something subtle and understated, yet adorned with that touch of flourish that makes it stand out more than the average cup at a medieval feasting table. This Medieval tankard is simple in design. 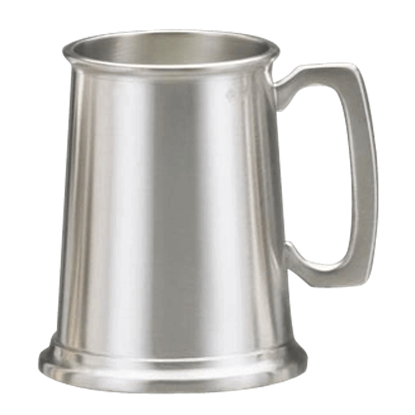 The Classic Pewter Tankard could be used by any social class from Peasant to Noble. It features a satin matte finish with a pewter handle and a glass base. This item is ideal for engraving. 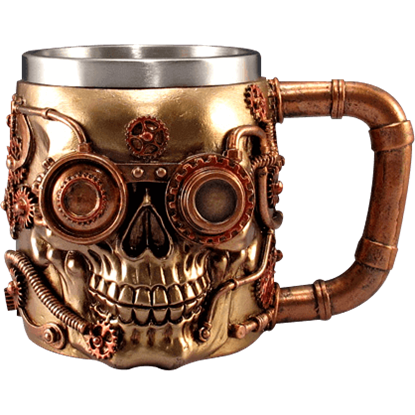 The Copper Gear Steampunk Skull Tankard looks like something a scheming clockwork inventor might have cooked up in his laboratory. This unique steampunk drinkware piece is shaped like a wicked brass skull decorated with copper gears. 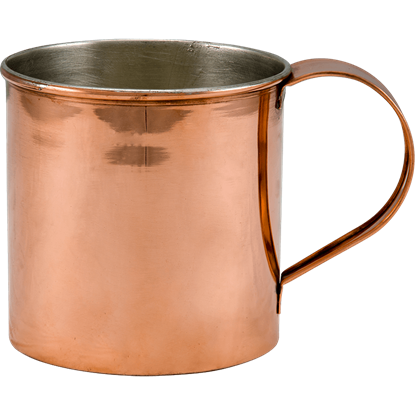 Great for all sorts of historical reenactments, the Copper Mug with Tin Lining is great to have on hand for easy drinking without breaking out of character or setting. This round mug has a curved handle and a very slight lip.